Users of All4 via the Freeview Play platform will need to register to watch programmes from Channel 4's on-demand service. Currently only optional, the new mandatory sign-in will be introduced shortly. It comes as more and more on-demand services, including the iPlayer, are requiring, or at least strongly encouraging users to sign in to benefit from the all the features on offer, especially personalisation features. 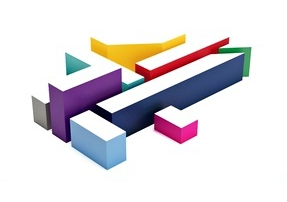 Although All4 will continue to offer free access to a selection of Channel 4 programming, the registration provides the broadcaster with information that enables it to provide targeted advertising and additional insights as to what type of programming people are watching. It can also stop underage viewers from watching inappropriate content. Channel 4 has a viewer promise on how it uses data and keeps it safe. All4 currently has over 13 million registered users. It is not the only broadcaster being successful in getting users to register: In figures released on Wednesday, ITV said it has around half of all 16-24 year olds registered to use its online service, the ITV Hub. Users can register for an All4 account on the official 4iD registration page. Update: Mandatory sign-in is to follow on Freesat (latest generation) receivers as well.